How to change the color of the left card border? How to set the background color to the item? How to change the status of an item? How can users add new cards? How to forbid dragging items from/to a column? Here you will find the answers to some of the questions that may arise during the creation of Kanban Board. 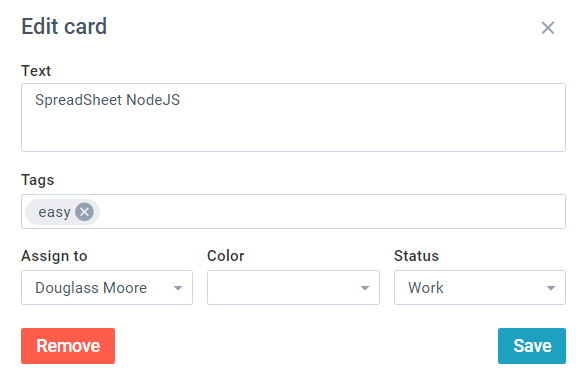 You can redefine this CSS rule and set a new color for all tasks in your Kanban board. Note that the initial color is set by the ID from the set of colors. 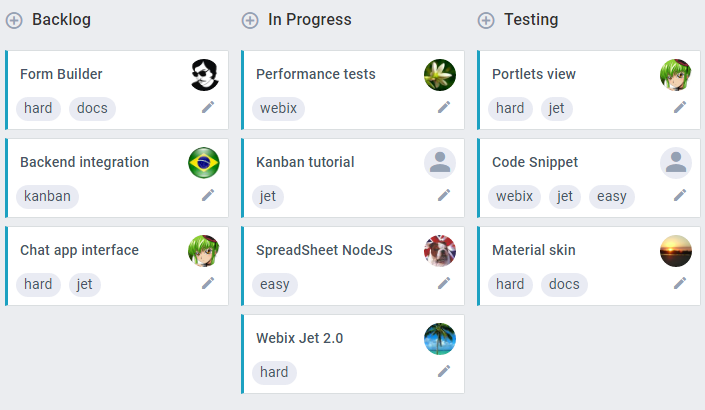 You can enable Kanban editor and use it for adding new cards. A user can fill in the form and add the card to any Kanban list. Kanban has another convenient way of adding a new card - KanbanHeader. Cards can be added with the help of the "+" icon. After a click on the icon, an empty card will appear in the list. In case you need to forbid moving tasks from/to particular columns, you should make use of Kanban Events. For example, you may ban dragging to columns that are not situated next to the source column. Thus tasks will be dragged only between two neighboring columns. To implement this idea, the onListBeforeDragIn event can be used. If you have not checked yet, be sure to visit site of our main product Webix html5 framework and page of buy kanban board product.